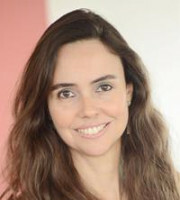 Ana Cristina Müller is a partner at Barbosa Müssnich Aragão (BMA) and head of its patent practice. She specialises in developing and executing worldwide patent, industrial design and plant variety protection strategies and portfolio management for a wide range of clients – from start-ups to multinational corporations – and engages in a significant amount of complex patent litigation and transactional work. Ms Müller also advises clients on freedom-to-operate analyses, prepares validity and infringement opinions and assists clients on post-allowance actions. She conducts due diligence in investment and acquisition contexts, helping clients to decide on the best strategy to pursue. Ms Müller has written several articles and is co-author of Patents in Biotechnology – A Practical Guide for Drafters of Patent Applications, published by the Brazilian Corporation of Agricultural Research. She was awarded a Client Choice Award (patents, Brazil) in 2015 and 2017. She has been co-chair of the Brazilian Intellectual Property Association Patent Committee since 2016, and was previously co-chair of its Plant Variety Protection Committee (2012-2013) and Biotechnology Committee (2008-2011). Ms Müller was also vice chair of the Intellectual Property Owners Association Genetic Resources and Associated Traditional Knowledge Committee (2008-2013). She was previously the head of the patent department at the Oswaldo Cruz Foundation (Fiocruz). Fiocruz is a prestigious institution linked to the Brazilian Ministry of Health which develops technologies in health science. BMA offers full-service IP assistance advising clients on complex patent litigation and managing their international and national IP portfolios, and advises on some of the most complex issues in a wide range of transactional matters – including mergers and acquisitions, initial public offerings, joint ventures and corporate restructurings – participating in due diligence procedures and drafting strategies aimed at maximising both the protection and value of clients’ IP assets. The combination of the technical skills of its scientists and engineers with the legal expertise of its lawyers provides clients with high-quality multi-disciplinary services that are unmatched in the Brazilian market.